Updated from 8:22 a.m. to include news that the WWE Network is coming to Apple TV. NEW YORK (TheStreet) -- The next big thing for World Wrestling Entertainment (WWE - Get Report), its investors and the wrestling world in general, is the launch of the WWE Network. Judging by the reaction on social media, the Web, and the company's own research, it may wind up being bigger than Hulk Hogan's 24" biceps. First announced in January at the Consumer Electronics Show, the WWE Network is an over-the-top (OTT) service, akin to Netflix (NFLX - Get Report), except purely for wrestling fans. The service, which goes live this morning at 9 a.m., costs $9.99 per month, and includes all of the company's pay-per-views, including WrestleMania, set to be hosted by Hogan. 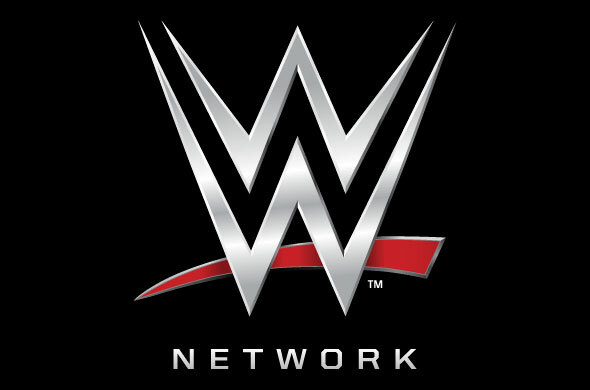 The Network will be available on the WWE app, which already has more than 10 million downloads, according to a company press release. On the fourth-quarter earnings call, CFO George Barrios noted that the company's OIBDA (operating income before depreciation and amortization) would fluctuate, due to the launch of the Network, as well as the eventual television deal. "For the first quarter of 2014, we expect net income to decline on a year-over-year basis by $15 million to $18 million resulting in net loss of $12 million to $15 million the first quarter," Barrios said on the call. WWE's deal with Comcast (CMCSA - Get Report) subsidiary NBCUniversal recently had its exclusive negotiating-window expire, with its popular Raw, Smackdown and Main Event shows now up for grabs in the free market, as live content continues to see a bump in rates. WWE recently renewed its deal in the United Kingdom with cable provider BSkyB, of which 21st Century Fox (FOXA owns a stake. There's been a lot of attention paid to the negotiations with NBCUniversal, as the company is trying to position itself as live content, similar to MLB, NFL, and the NBA, all of which have very lucrative television deals. "There's a very frothy market for live entertainment," Barrios said in an interview with TheStreet last week. "NBCU remains very committed to live entertainment. We talked in the exclusive window, but we couldn't come to a deal that we both felt comfortable with." WWE is free to shop its programming to other content companies, but NBCUniversal has a limited right to match any offer WWE receives. During the interview, Barrios stated the first-quarter guidance reflected a "wide-range" for OIBDA to reflect all the changes going on in the business. "There are huge factors to include in that," Barrios said. "There's the television deal, as well as the subscriber ramp up," noting the company's financial performance could change drastically on the outcomes of the deal and how many subscribers Stamford, CT.-based WWE has at the end of the first quarter. On the earnings call, WWE said it would give an update on how many subscribers it has for the network, after WrestleMania, on April 7. The Network is changing the business rapidly, with Barrios noting the company is using multiple content delivery network (CDN) partners, so that there's redundancy. "We're using Level 3 (LVLT and Akamai (AKAM - Get Report), so that there's redundancy in the system," he said. Despite reports to the contrary (previous reports suggested 1,000 hours), there will be 1,500 hours worth of content available at launch. The network has been live for about 5 weeks now, with continued testing across multiple devices. "The programming that's airing is getting better and better. I'm one of the testers, and it looks awesome on my iPad," Barrios exclaimed. WWE Network will be available on Apple (AAPL - Get Report) iOS devices, Google (GOOG - Get Report) Android devices, Amazon's (AMZN Kindle Fire, Microsoft's (MSFT Xbox, Sony's (SNE PlayStation and Roku. In a separate announcement, WWE announced the Network would be coming to Apple TV. "WWE is pleased to announce that WWE Network is available on Apple TV beginning today, Monday, February 24," WWE said in a statement. With the launch of the Network, obviously the company's relationship with existing content providers, including Hulu, Netflix and YouTube will change, but Barrios noted the company is very cognizant of what goes on YouTube. He noted the company has done over 2 billion views on YouTube, and provides 10 hours of short form content a week to the Internet video service. Barrios noted that following the expiration of the Hulu Plus deal, it won't get renewed. Barrios said that 1 million domestic subscribers for the Network would help the company break-even, but that 2 to 3 million domestic subscribers would provide the company with an additional $50 to $150 million in incremental EBITDA (earnings before interest, taxes, depreciation and amortization). "If we come out of 2014 with 1 million subscribers, we'll get to 2 to 3 million in the traditional ramp rate," he went on to say. "We've done a lot of research on this. We have very excitable fans who share the brand exuberance, and the standard algorithms we did for the research saw we could get 2 to 3 million subscribers. That's a home run for us, and it changes the business." Ultimately, WWE is going to bring the Network to the U.K., Canada, New Zealand, Hong Kong and the Nordics by the end of 2014, early 2015, which should provide an additional $25 to $50 million in EBITDA. Barrios did have a caveat for Canadian wrestling fans, noting "Between you and I, Canada might get a surprise, and get it earlier than late 2014." In 2016 and beyond, WWE Network will come to non-English speaking countries. For fans concerned about the availability of Raw on the Network, the delay on Raw will be a 30-day window, but that the full show will appear, different than the company's current deal with Hulu. Any changes to the window would be worked out in the next media deal. What the WWE is doing is incredibly ambitious, and Barrios said that other companies are watching what it's doing. "The uniqueness combines a 24/7 linear stream with a massive video-on-demand (VOD) library; I think this is pretty special, pretty cool. YouTube is watching us, and I've heard that HBO and ESPN are also keeping their eyes on this. It's a ground breaking event, and that to me is important."